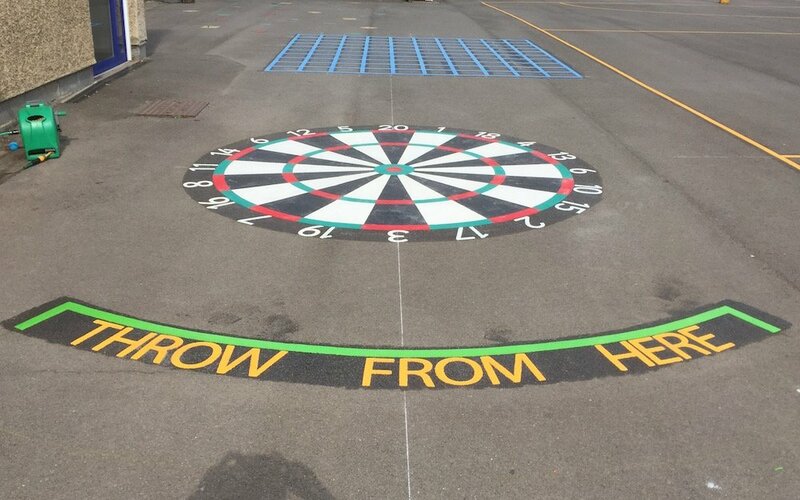 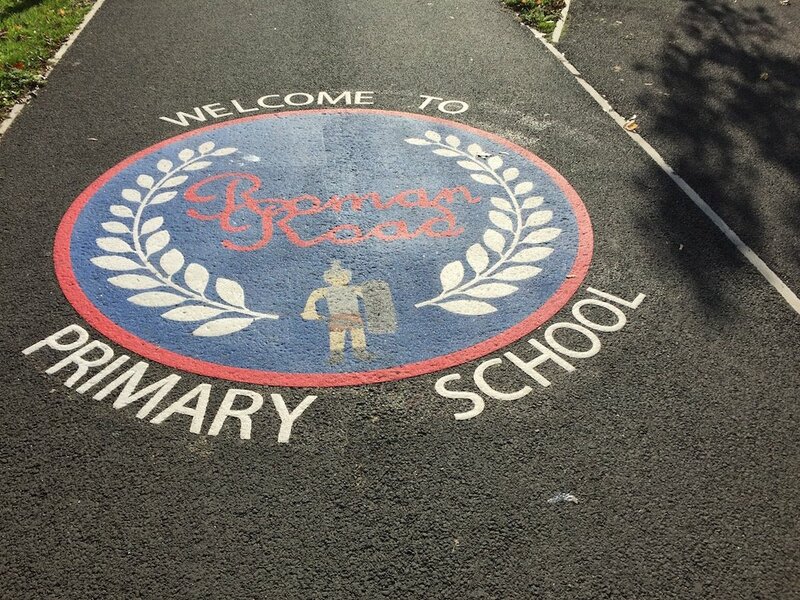 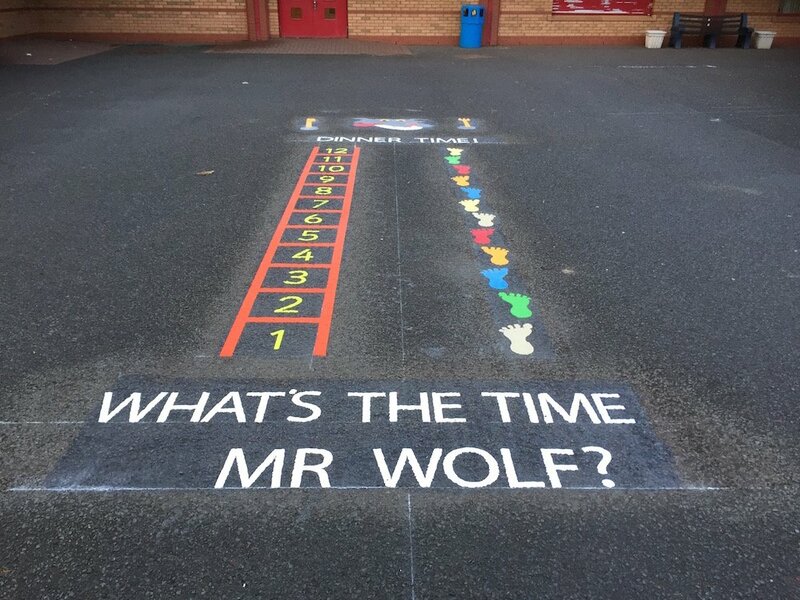 first4playgrounds installation team have just returned from a Primary School in Hebburn. 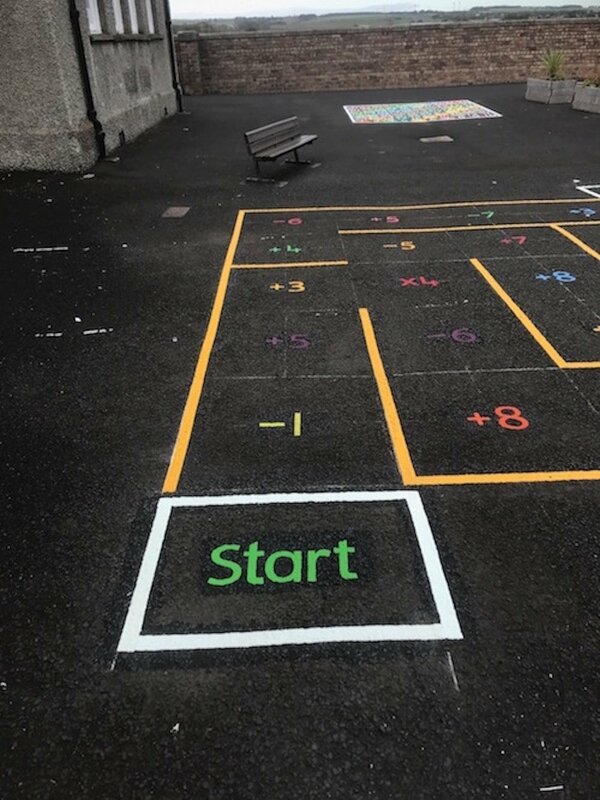 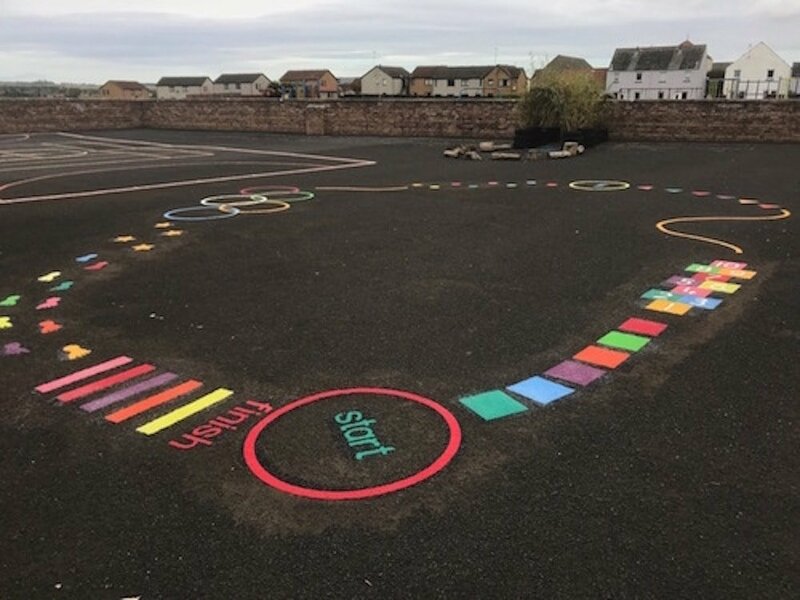 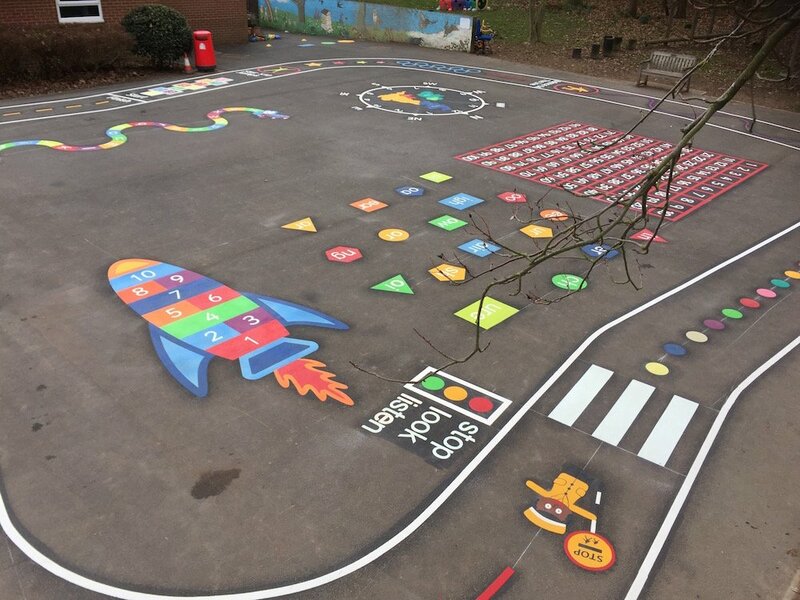 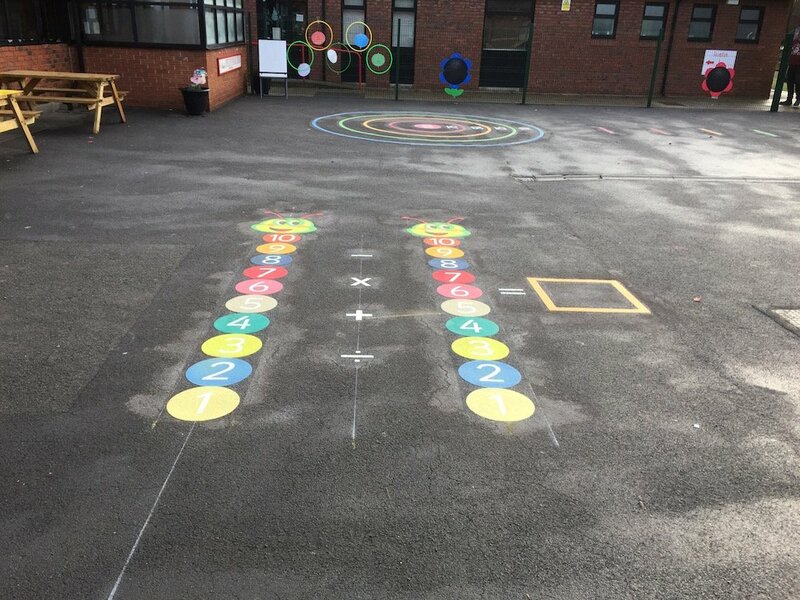 Where the team laid a range of Thermoplastic Playground Markings on a rocky terrain! 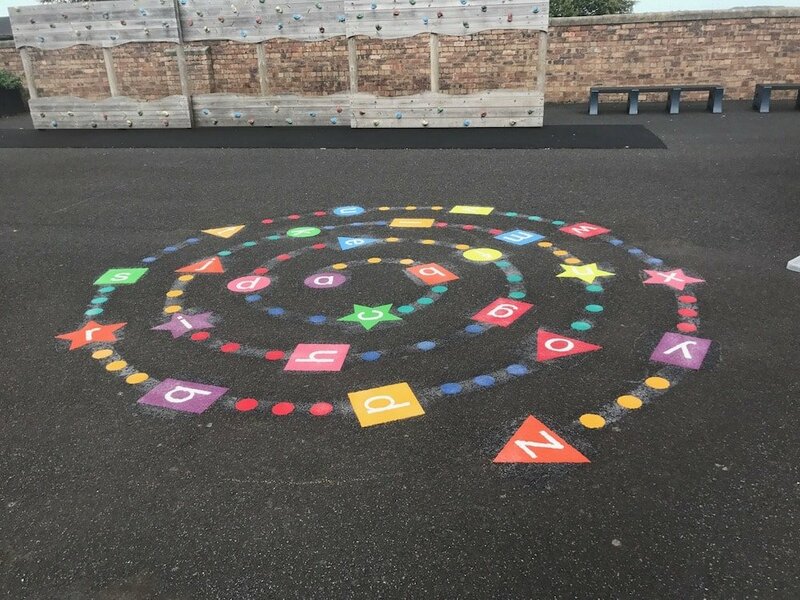 The team began by installing this Alphabet Spiral. 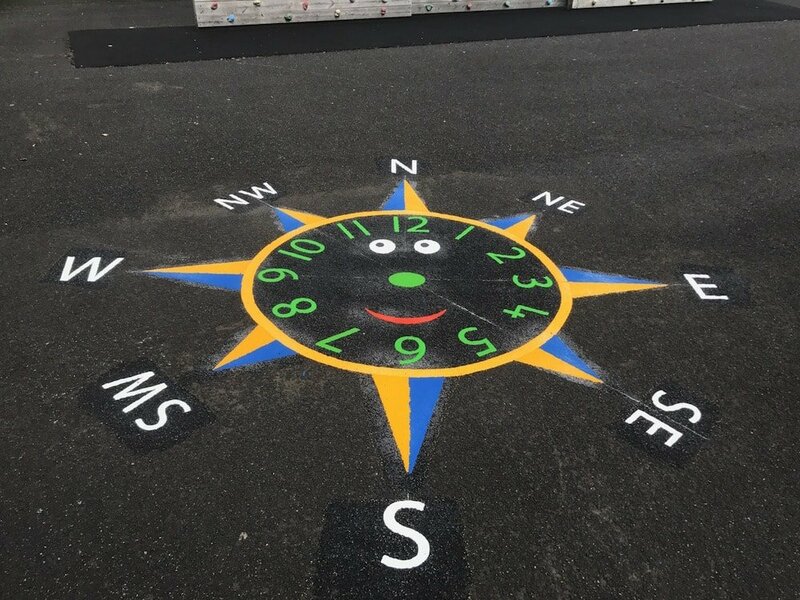 Next the team installed this Smiley Face Compass Clock which points north. 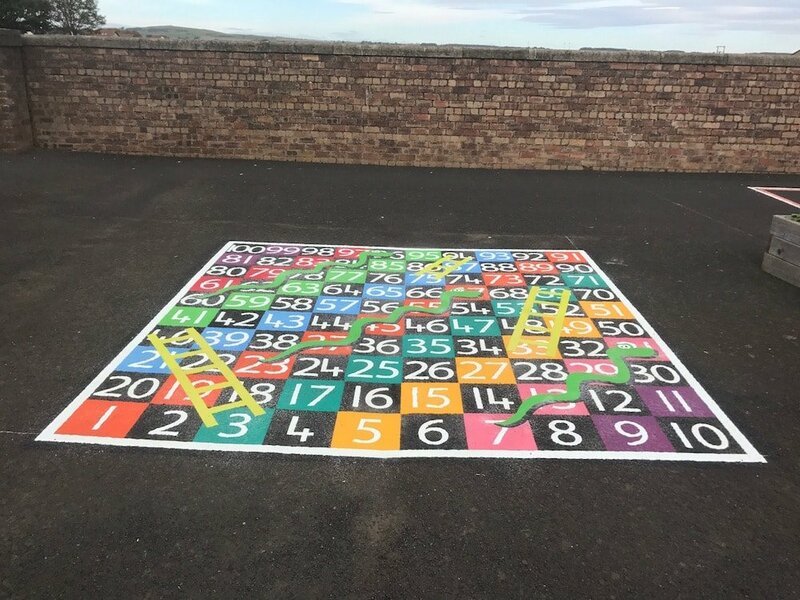 Then the team installed this Maths Maze. 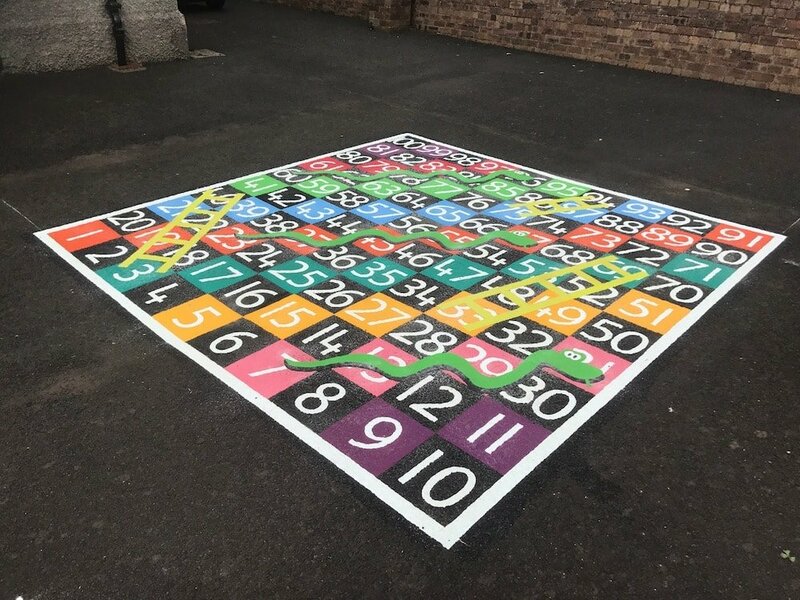 This 1-100 Snakes and Ladders Half Solid was installed next. 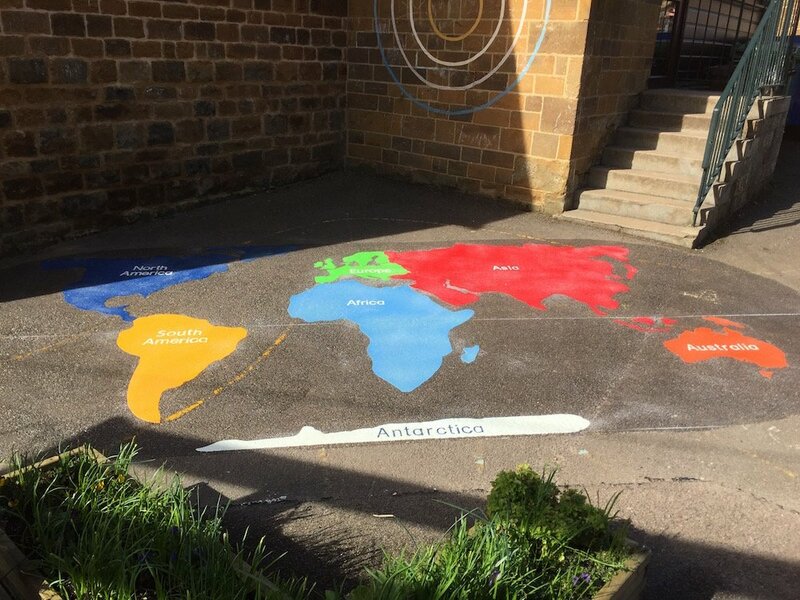 Finally we installed this Olympic Trail. 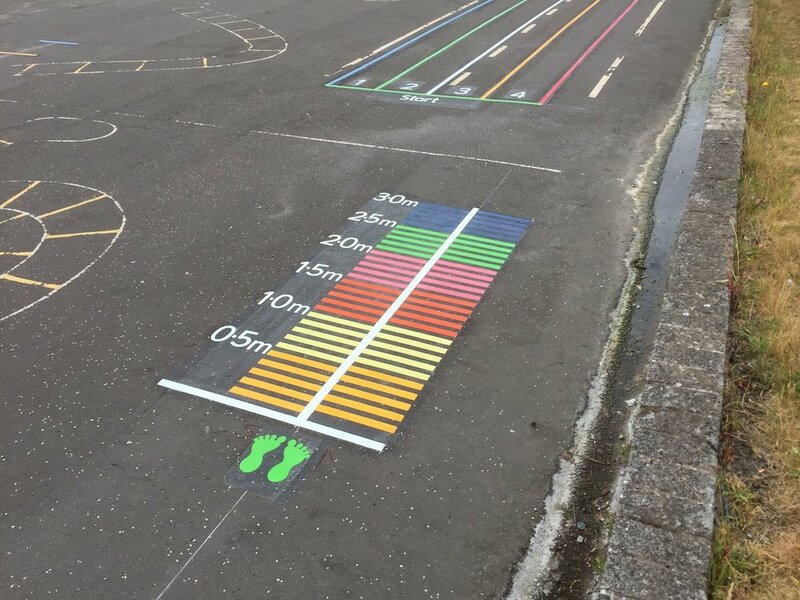 The Olympic Trail is normally 40m long but can be adjusted to any size.